Boxy fit, cowl neck, long sleeve hi-low top. Drop shoulder. Has side slits. Has a waistband. Has center back seam detail. 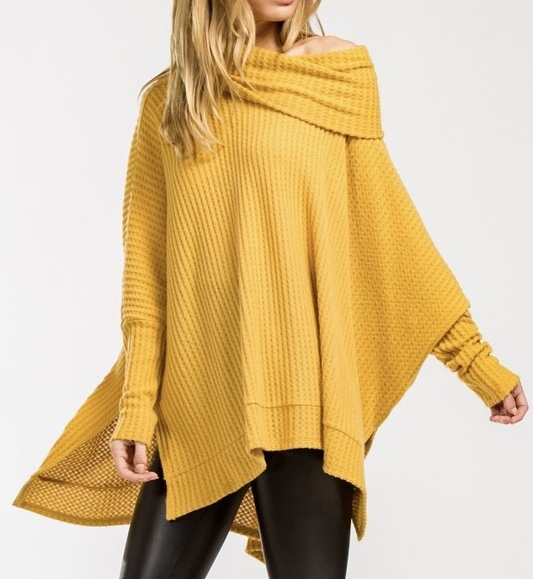 This top is made with a heavyweight brushed big waffle thermal knit fabric that has a very soft fuzzy texture, drapes well, has some stretch and is very warm.